﻿ Eyeing Southeast Asia, India builds port in Indonesia. Eyeing Southeast Asia, India builds port in Indonesia. 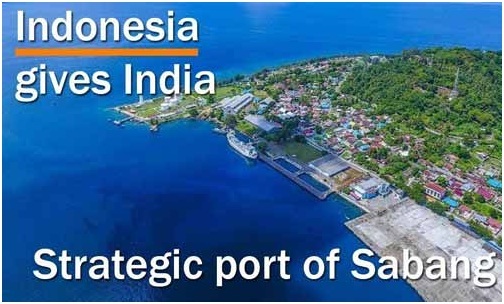 India is developing its maiden deep-sea port in Indonesia's Sabang close to Andaman and Nicobar Islands making its maiden foray in the southeast Asian amid China’s slew of connectivity plans for ASEAN under BRI.